The pumping room at DSS is an accessible and visible room down a staff hallway. The room itself is cozy and private. It has space for up to 4 women to sit and pump with access to outlets and either to sit comfortably or work at a table. 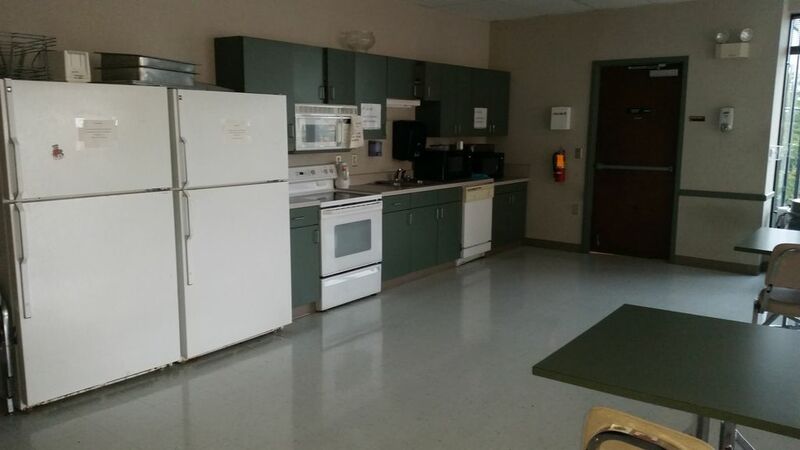 DSS has a large break room with plenty of refrigerator space for milk storage. The staff liaisons for the pumping room are enthusiastic about providing this space for pumping mothers. There is a bulletin board in the pumping room for sharing recipes, techniques and notes. The DSS outreach staff are delighted to share this service with their staff and are happy to promote breastfeeding friendly events within their organization. 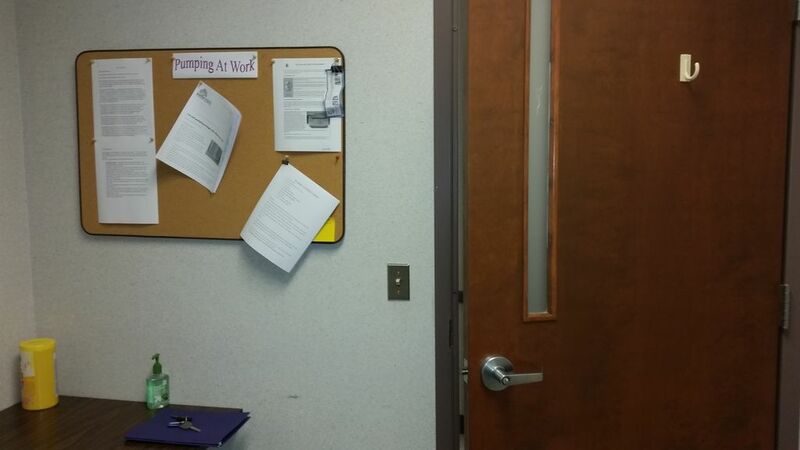 As government employees, we are lucky to have a cozy personal space to pump for our babies. We have close access to a sink to wash our bottles. Plenty of outlets to plug in our pumps and cell phones. We also have the privacy to not be disturbed while pumping via the sign on the door. Returning to work after maternity leave can be stressful as it is, but having a designated area is one less stress. The room has a bulletin board providing COMAR regarding breastfeeding and pumping in the State of Maryland, as well as recipes for lactation cookies, and additional tips for boosting supply. We are truly, very fortunate that our employer is so supportive of this necessary part of motherhood.